Last week the National Trust made a submission to Barwon Water regarding a proposal to establish a 66-hectare park around the heritage-listed Barwon River Ovoid Sewer Aqueduct in Breakwater. The Geelong & Region Branch of the National Trust has been instrumental in advocating for the protection and conservation of the Aqueduct for 20 years, working to see local community action on this issue. Recently the Branch had success bring together many local heritage and environmental groups, including the Victoria Chair of Engineers Australia, and key Barwon Water staff to discuss solutions to the conservation of spans which are proposed for removal. Barwon Water’s initial proposal for the Ovoid Sewer Aqueduct forms part of community and stakeholder consultation (late-Jan to February 2017), leading up to an application to Heritage Victoria for a heritage permit to undertake works to the Aqueduct itself. 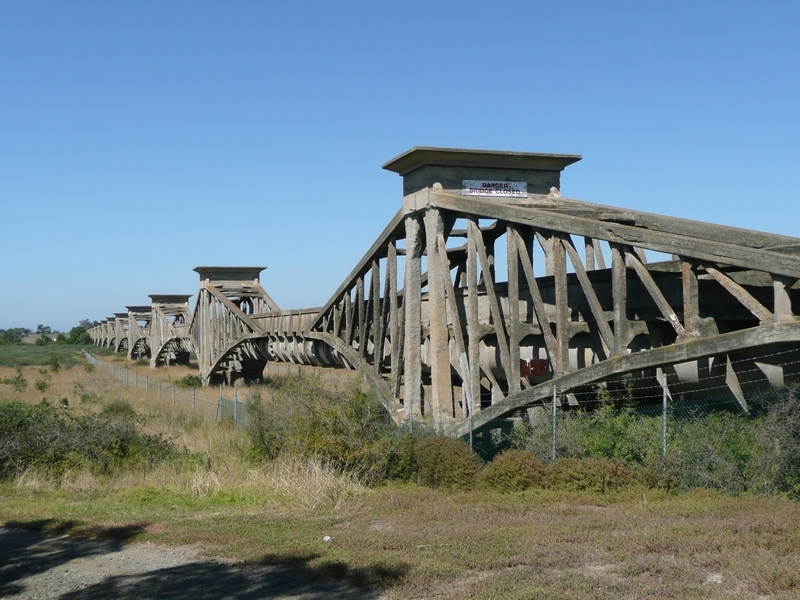 The proposal aims to conserve and promote the historically significant Aqueduct structure (while improving public safety); restore public access along the Barwon River and northern bank; provide for a range of low-impact recreational activities; and staged-development of visitor facilities and protection of the biodiversity, cultural heritage and floodplain values of the park. Overall, while the National Trust supports the increase in public access to the Aqueduct Park via the use of walking trails and lookout points which would facilitate greater visitor engagement with the natural and cultural values of the Aqueduct Park, we do have some specific concerns relating to additional strategies and consultation, and proposed demolition. In our submission, the National Trust specified that strategies should be developed to ensure that increased access across the site does no adversely impact on the natural and cultural values of the place. We also encouraged Barwon Water to undertake consultation with the Wadawurrung (Wathaurung Aboriginal Corporation), as the Traditional Owners and Registered Aboriginal Party, as part of the interpretation strategy for the site. Primarily, the National Trust strongly objected to the proposal to remove five spans of the Aqueduct. To date no documentation demonstrating alternative options to such demolition has been made publically available. While we support the proposal to conserve and promote the Aqueduct site, this should not be to the detriment of the recognised significance of the place to the State of Victoria. 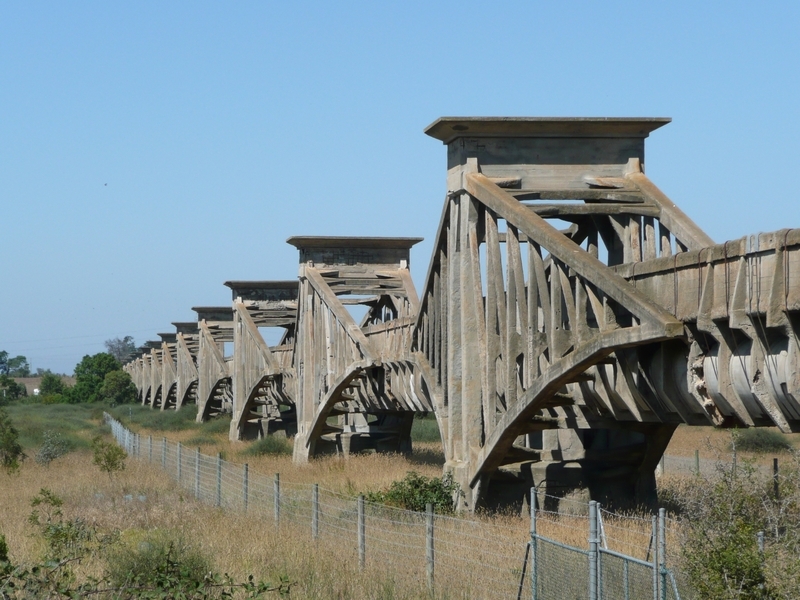 In the view of National Trust, the removal of five spans, approximately a third of the total span of the aqueduct structure, would have an adverse and unacceptable impact on the significance of the place, as a rare example of the Considere system of reinforced concrete. As such we encouraged Barwon Water to undertake all efforts to conserve and maintain the aqueduct structure as it currently stands. The National Trust does not believe that the Aqueduct should be managed as a ‘noble ruin’, as suggested in the Masterplan, and that conservation and restoration should be pursued as the preferred approach to managing the site. We note successful examples of the conservation of early reinforced concrete by the Cairns Port Authority at the Cairns Wharf Complex (which remains a functioning wharf), as well as Whites Creek Sewage Aqueduct, managed by Sydney Water (incorporated into a public park setting). To read our submission to Barwon Water in full, click here. 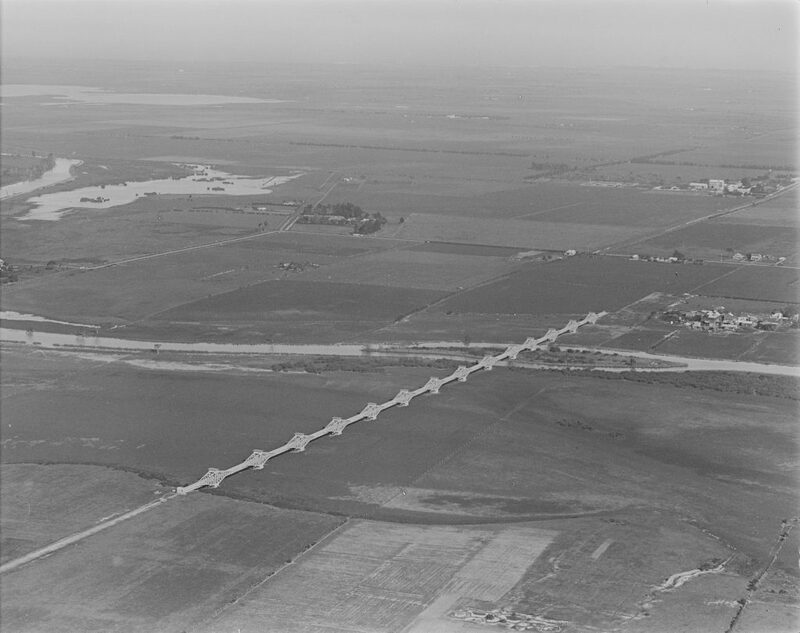 The Ovoid Sewer Aqueduct is a major landscape feature that runs across the Barwon River. 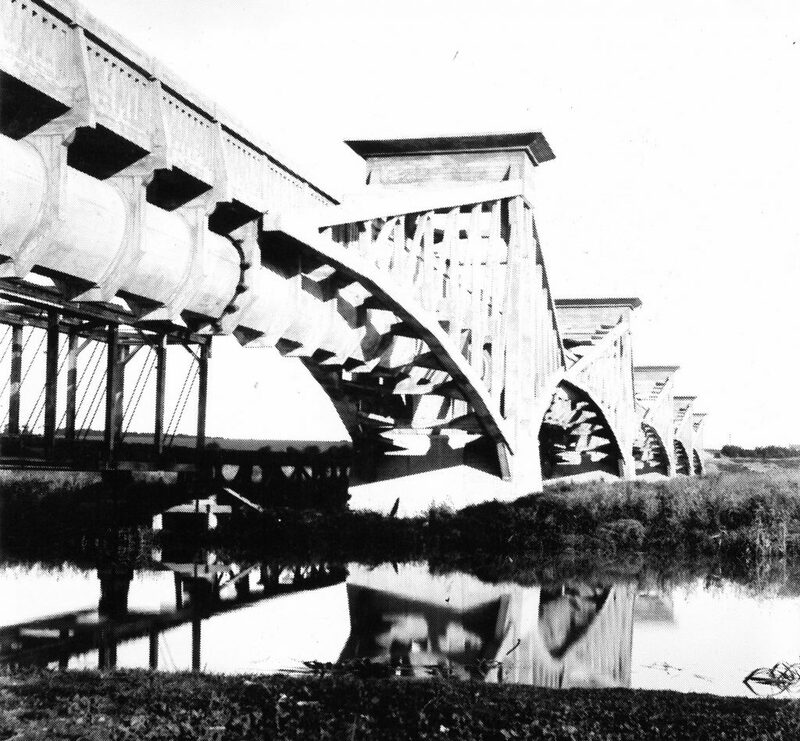 The aqueduct was designed by Edward Giles Stone and Ernest J Siddeley and constructed between 1913-1915 as part of Geelong’s first sewerage system. It is a rare and internationally unusual example of reinforced concrete in the Considere system. The Ovoid Sewer Aqueduct was classified by the National Trust in 1987 as a place of State Significance. The Aqueduct is also on the Victorian Heritage Register (H0895) and is of architectural, historical, scientific (technical), and aesthetic significance to the State of Victoria. Image published on page 7 of the Aqueduct Park Masterplan which demonstrates the impact of the removal of five spans when viewed from the east. 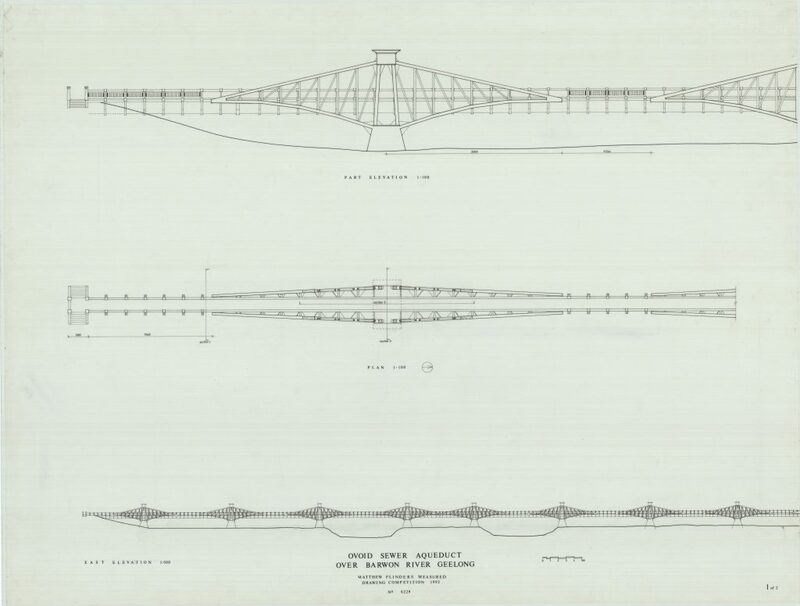 Rosemary Burne, Measured Drawing of Ovoid Sewer Aqueduct over Barwon River, Geelong, 1992. State Library of Victoria. 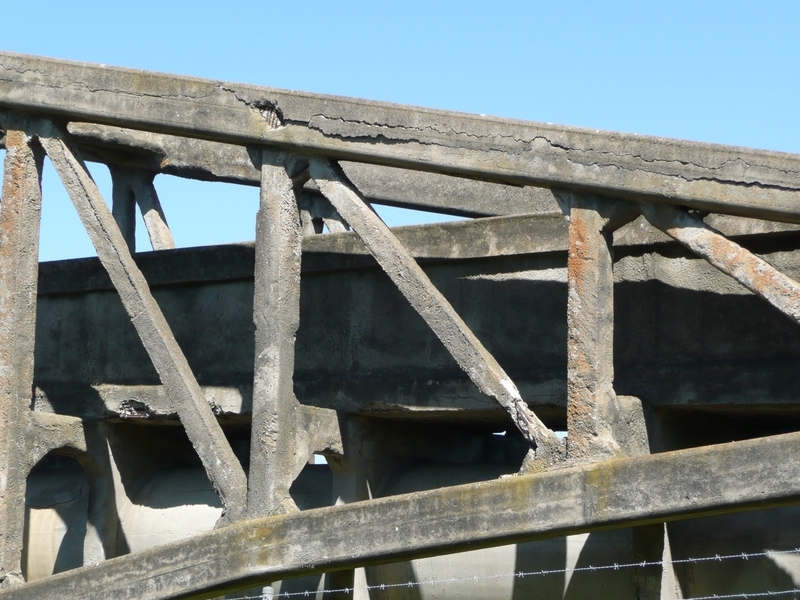 Detail of the Considere reinforced concrete system. Image courtesy of Heritage Victoria. View of the Aqueduct from South Bank. Barwon Water are proposing to remove five spans from the total of fourteen which cross the Barwon River. Image courtesy of Heritage Victoria.